So much data, so little time. Above all else, this was the driving notion behind KISSmetrics, a San Francisco startup that specializes in customer analytics for companies in the online space. Founded in 2009, KISSmetrics has grown exponentially in the last four years, using a Ruby on Rails platform to crunch customer data for marketing departments at companies like AOL, Foursquare, Microsoft and Intuit, to name a few. Ease of use and clarity are critical to this success--the company name incorporates the acronym "Keep It Simple, Stupid." While other analytics companies have focused on high-level "vanity" metrics like page views and unique visitors, KISSmetrics instead has targeted individual user data--attempting to track why people visit a site, how long they stay, how long it takes them to activate a service, how much money they spend and why they leave. 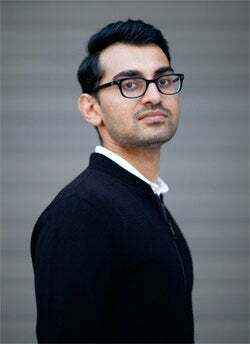 The company is the third startup for brothers-in-law Neil Patel and Hiten Shah. As Patel explains it, the duo--who met when Shah started dating Patel's sister--got the idea for KISSmetrics when looking for an easier way to track metrics like lifetime value and churn during startup No. 2. "We had no problem getting usage stats from Google Analytics, but the minute we wanted something more sophisticated, we were out of luck," Patel says. "The more people we talked to, the more we realized others were dealing with these shortcomings, too. That's when we saw the problem was bigger than us." To launch the company, each of the founders put up about $100,000 of his own money. KISSmetrics has received a total of $6.4 million in funding from True Ventures, SoftTech VC and Polaris Ventures. With that cash, Patel and Shah have sharpened their algorithms to provide a distinct competitive advantage. They've also made their technology easy to implement. To use it, customers insert the KISSmetrics script into their site codes; the script automatically captures user information in real time at various steps along the purchase process. In all, the 30-employee company has processed more than 25 terabytes of data and tracked more than 50 billion events through its code. These numbers are turning analysts' heads. Joe Stanhope notes that what distinguishes KISSmetrics from competitors in the space is the way it democratizes analytics. "This is not something that exists exclusively for billion-dollar companies," says Stanhope, who recently left his position as a principal analyst at Forrester Research to become chief strategy officer at SDL, an international software and consulting firm. "It's affordable, anyone can use it, it's visually appealing, and it has a high degree of functionality. Not many vendors can say that." Looking forward, Patel says he and Shah are working to grow the company, while preserving the approachability that customers love. He adds that KISSmetrics will continue to sharpen its algorithms, always searching for the next great metric to glean from a standard set of data. "There may be something else that's new or hot a year from now," Patel notes. "For this reason, we're committed to solving problems and not riding trends." Find new talent through recommendations from current employees with RolePoint's enterprise-level social-recruitment platform. Résumés are for suckers: HireArt improves the process of vetting candidates by creating online challenge-based interviews that simulate real-world job tasks. Working Not Working: A job network that broadcasts the real-time availability of top-tier creative freelancers to agencies looking to hire them, disrupting the traditional method of hiring expensive headhunters. Iva Jean: A line of sophisticated women's apparel for biking to work in style. The patent-pending 3-D-printed business cards from CallingCube are in the shape of a 1-inch cube--and may prove cool enough to keep around when a 2-D version would otherwise be destined for the trash. With Flint, mobile payments don't require extra hardware: Credit cards are processed by scanning the card number. Revolve Robotics' Kubi telepresence device uses a remote-controlled, swiveling desktop stand for tablets and can "look around" during conference calls. Speek is changing the free conference-call game: The platform uses links instead of phone numbers and PINs, while browser-based controls make it easy to manage file sharing and see who has joined and who is talking. The first 100 percent Twitter-based marketing agency, World's Fastest Agency (a subsidiary of communications consultancy FHC) charges $999 for "lightning-fast" services.